Komitas was born in 1869 in Kutahya, western Anatolia. Orphaned at an early age, his beautiful singing voice was noticed and he was admitted to Etchmiadzin to study. He received his higher education in Berlin at the Kaiser Wilhelm University and in 1899 graduated with "Doctor of Musicology" title. A booklet accompanying thid CD, will introduce you to each of the dances that Komitas composed, mostly between 1906 and 1916. 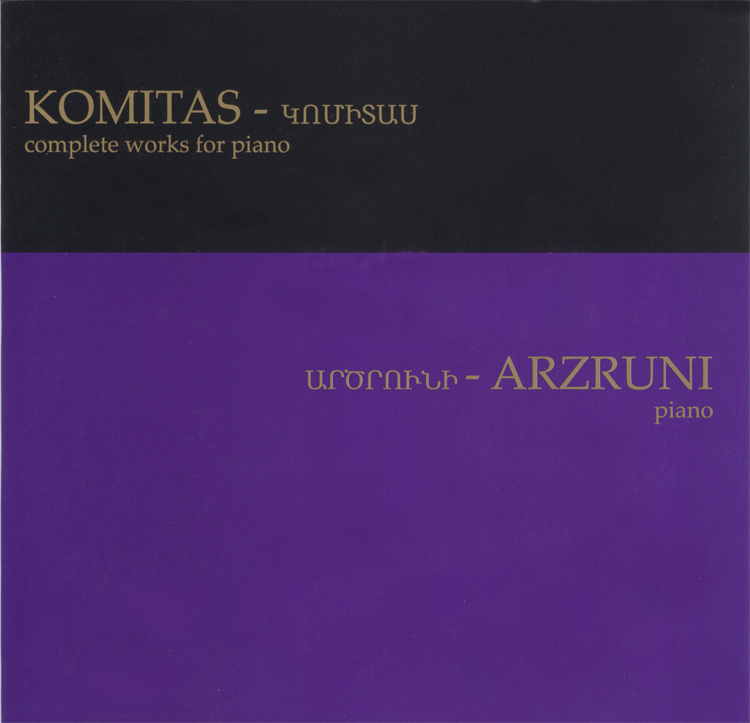 The well known pianist, Sahan Arzrouni's masterful performance of these piano works, is a proof of Komitas's genious. Total: 61 minutes.